Suit up gladiators, we need your help. Did you know that on a single day 12,197 unmet requests for domestic violence services left many in danger? This translates to over 500 requests per hour that went unmet due to lack of resources. This is unacceptable, but together, we can make a difference. We are calling on you to be a voice for survivors by starting your own peer-to-peer fundraiser on Facebook! In recognition of the approximately 500 unmet requests for domestic violence services per hour, we challenge you to raise $500 to take a stand against abuse. If you raise $500 or more, you have the chance to win giveaways, including Kerry Washington’s Purple Purse! Winners will be announced Tuesday, May 30, 2017. You can make a difference. Consider setting up a fundraising page today in honor of your mom for Mother’s Day, for your birthday, or simply because this is an important cause to you. How do I set up my fundraiser? Set your end date for Thursday, May 25, 2017 – this is the final day of NNEDV’s Peer-to-Peer Fundraising Challenge. Share it! Sharing is caring: ask your friends & family to help you reach your goal. Post about your fundraiser using #GiveNNEDV. Email NNEDV a link to your #GiveNNEDV fundraising page at: dev [at] NNEDV [dot] org for a chance to win giveaways. What is the Purple Purse? How does that relate to domestic violence? How do I win the Purple Purse or other giveaways? Enter NNEDV’s Peer-to-Peer Fundraising Challenge by following the directions above. Anyone who raises $500 or more has the chance to win giveaways, including Kerry Washington’s Purple Purse. Once you have set-up your fundraiser, email NNEDV a link to your #GiveNNEDV fundraising page at: dev [at] NNEDV [dot] org. Winners will be notified via email. Please remember to check your email on Tuesday, May 30! How do I ask my friends & family to help support my fundraiser? Subject: Help me end violence! You may or may not know this, but I am a supporter of the National Network to End Domestic Violence (NNEDV). 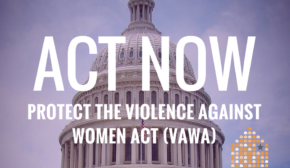 They are a social change organization that is dedicated to creating a social, political, and economic environment in which violence against women no longer exists. NNEDV is a leading voice against violence that helps keep “ending domestic violence” on the national agenda. For over 25 years, NNEDV has worked to save and change lives, but we cannot stop fighting for safety and equality. The need for NNEDV’s advocacy has intensified with recent threats to cut funding to life-saving services for survivors. Thanks for supporting me (and this important cause)! Can I use one of NNEDV’s graphics to promote my fundraiser? Do I need to thank my friends & family for participating in my fundraiser? Subject: Thanks for helping me meet my goal! Thank you for joining me in supporting the National Network to End Domestic Violence (NNEDV)! Domestic violence is a national problem and it takes each one of us to help end it. Thank you for joining my fundraising challenge: together, we made a difference. Thanks again for your donation — and watch for an official receipt from Facebook for your tax-deductible donation.